This past weekend my friend and I decided to get away from Perugia for a few hours. 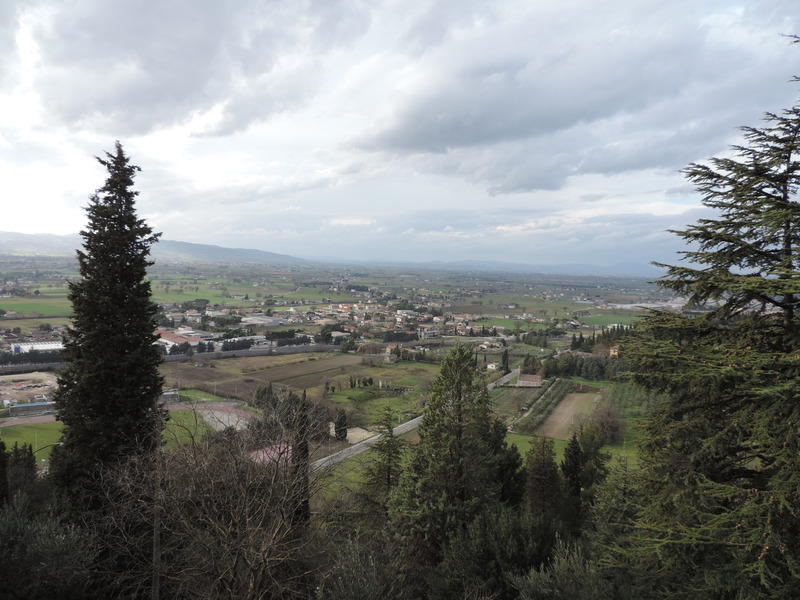 We went to the nearby town of Spello. It only takes about 30 minutes by train to get to Spello from Perugia, which makes it a perfect destination for a day trip. We arrived at around lunch time, so we walked up into the old town from the station. 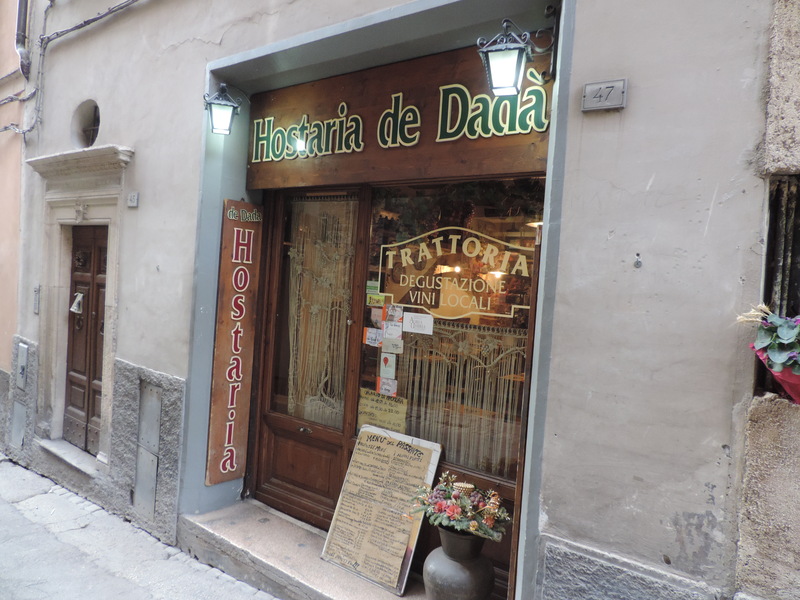 We had a little look around and decided to eat at Hostaria de Dadá. The deciding factor was the handwritten menu outside. If my adventures in Italy have taught me anything, it is that the best places to eat are the one’s with the handwritten menu. Why? Well, they serve dishes of the day, which are likely made by an Italian mamma in the back. You haven’t had pasta until you have had handmade pasta! The pasta we had there certainly tasted like the homemade stuff! We went for the ‘antipasto and primo piatto’ menu for €12. We each were given a plate filled with bread, cheese, different salami’s and bruschetta, not to mention the delicious olive oil on the bread. It was the kind of olive you don’t cook with but you just enjoy on bread. For the primo piatto I had pappardelle with wild boar ragu (pappardelle al ragu di cinghiale), which was delicious. The food filled me up, honestly you don’t need more food than that! Unfortunately, I didn’t take any pictures of the food. 😦 I felt a bit self-conscious as it was a small place, but I would recommend that you eat here if you go to Spello. They have a few different menu deals, as well as, a couple of choices for primo piatto and secondo piatto. 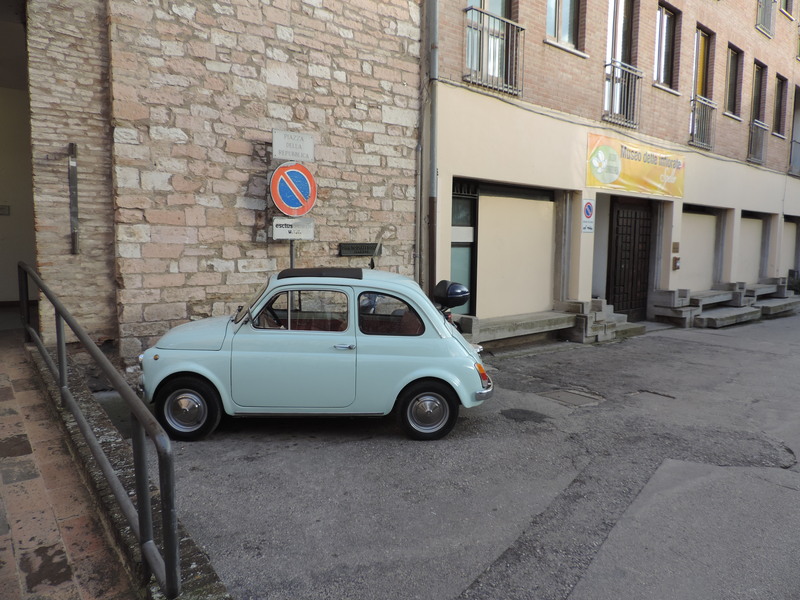 We then left the restaurant to explore Spello. We came across lovely side streets like these. I just had to get a picture of the Vespa! 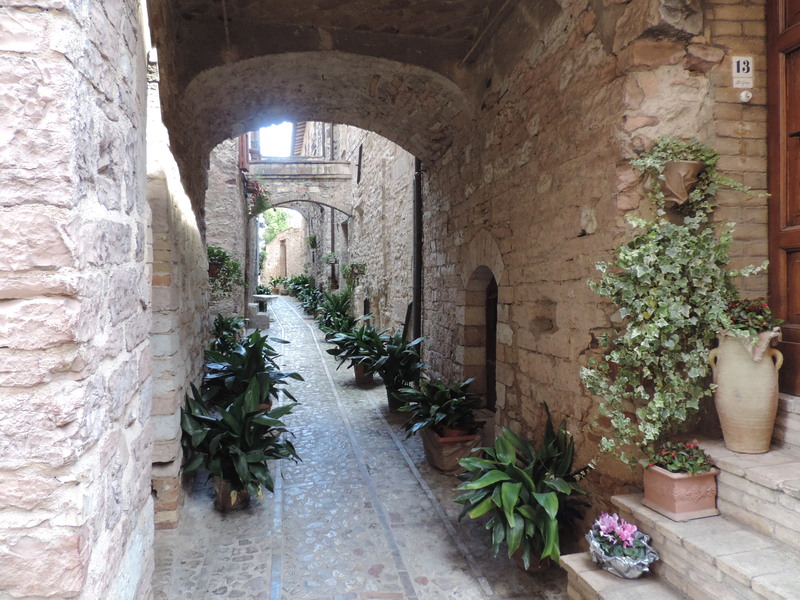 It seems that in Spello they like to have potted plants to decorate their town, and I am sure in spring it will be more beautiful. Since visiting Spello I have discovered that every year they have a flower festival in Spring. I will be sure to go back then and see it. I don’t know who would ride a bike in Spello, it’s far too hilly! We did get a bit confused when we were walking around. Somehow all the paths in Spello lead back to one you had already seen. We did end up walking around in circles for a bit! 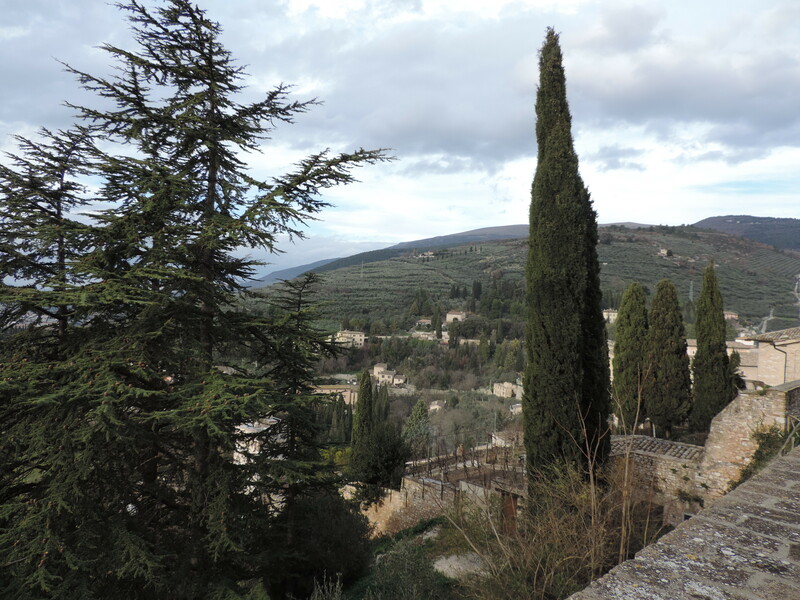 However, Spello is small enough that you never truly get lost. 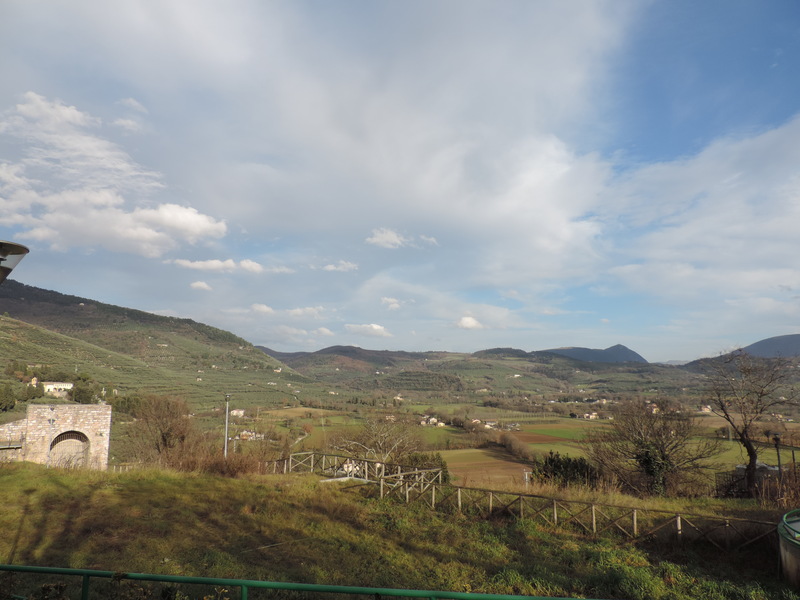 At the top of Spello you get some beautiful views, you can see why Umbria is referred to as ‘the green heart of Italy’. After living in Italy for months now, I hadn’t seen any cats. Honestly, no cats and then I saw seven in a row. 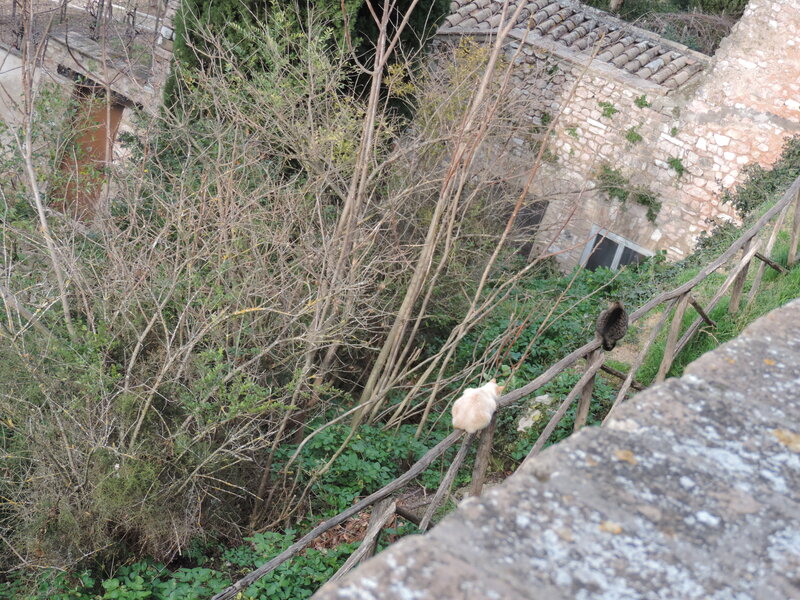 However, in Spello it seems that there is a large stray cat population. Not only that, some locals leave food out for them and they are the fattest cats I have ever seen! No joke! I think they must get leftover pasta for dinner. As we were walking around, we spotted 2 litre water bottles on doorsteps. We found it a strange sight. I had to find out what it meant. I posted on twitter and I got the reply that it was to stop dogs and cats from peeing on your doorstep. This was confirmed when my friend found this blog post on ‘Spanish water bottle mystery – update’, it seems to be what the mediterranean countries do. Trust the Italians to believe in such things, maybe it does work, but it seems very strange to me. 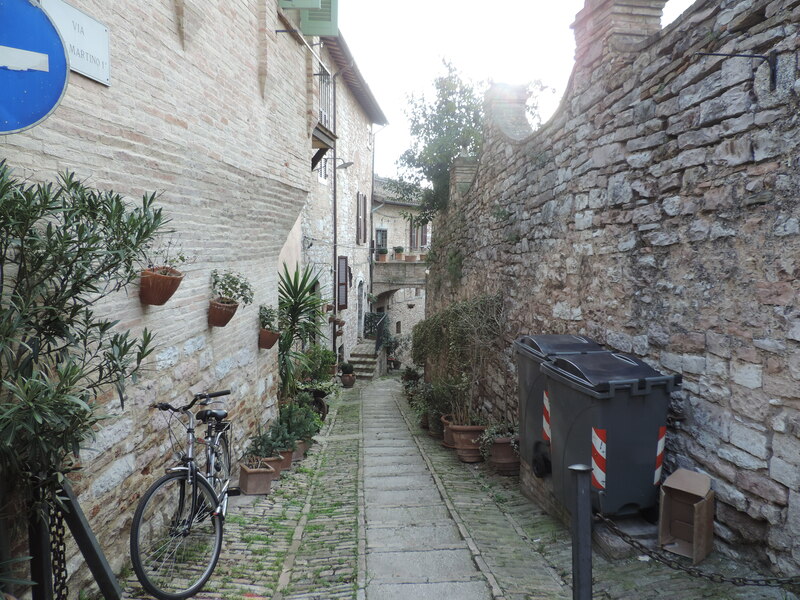 I found Spello to be a beautiful town to take my time walking in its streets. 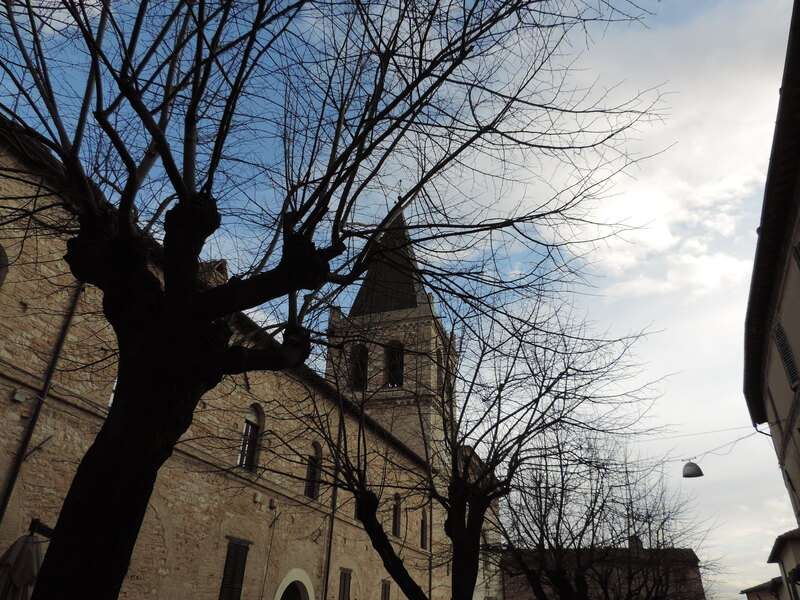 You only need a couple of hours to see Spello, I suggest that you visit its neighbour Assisi on the same day to make the most of your time in the area. Umbria is known as ‘the green heart of Italy’, as well as, being the only region that doesn’t border with a coastline or another country. It is truly the centre of Italy! If you want to find out more about the region, check out this Umbria travel guide on the telegraph. 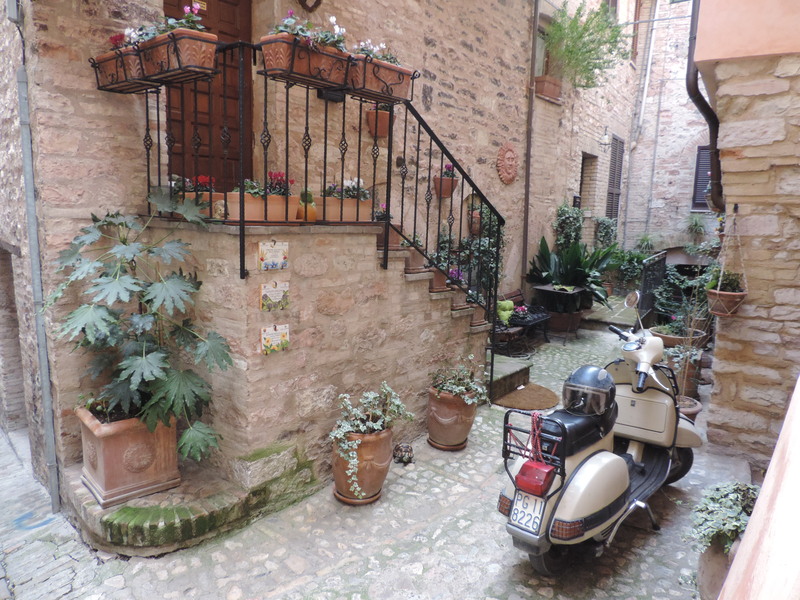 I love the little towns in Toscana and Umbria. Unfortunately I haven’t had much opportunity to explore, but intend, on my next European holiday, to stay entirely within those two areas. The colour of the buildings is amazing, such a rich creamy colour as opposed to grey. Have they perhaps scrubbed it all down recently? In Australia, we too use the water bottle trick on our front lawns, well some do and they swear by its efficiency 😉 Enjoying your blog, it allows me to live vicariously. The beautiful thing about Italy is that each region has so many towns to visit, you will be kept busy exploring. I am not too sure how they keep the buildings looking so colourful. I haven’t seen them cleaning or painting any. I find the water bottle trick very interesting. It must work if so many different countries use it!